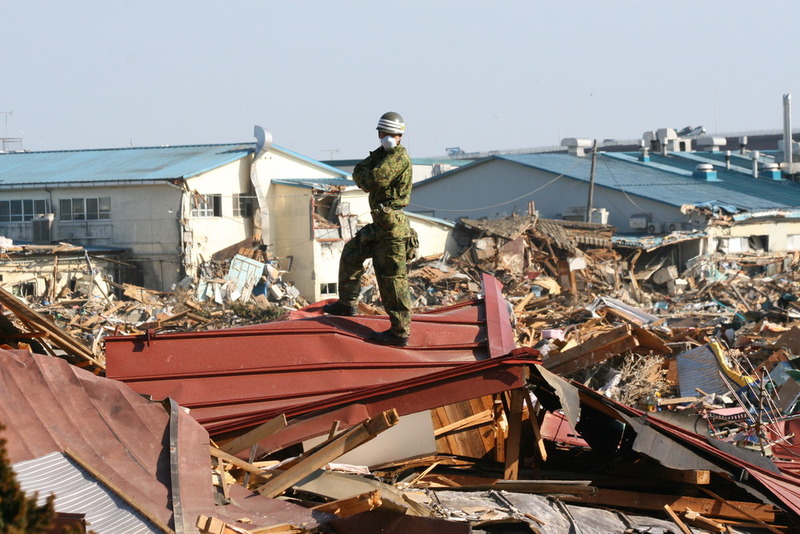 ISHINOMAKI, JAPAN—The last time Sumi Abe left home, a helicopter pulled her up from the rubble after she had been trapped with her grandson for nine days from the March 11 tsunami. With patience and determination, Abe personifies Japan’s struggle to overcome its worst crisis since the war. Like many others, she often has to fend for herself, despite a massive national and international aid effort, and has little energy to think about the future. Abe doesn’t seem to realize that people around the world have seen videos of rescuers finding her teenage grandson Jin waving for help atop a demolished home and then hoisting both up to a helicopter. After spending five days recovering in an Ishinomaki hospital, she and her grandson have been staying with relatives in Sendai, about 90 minutes away by bus. 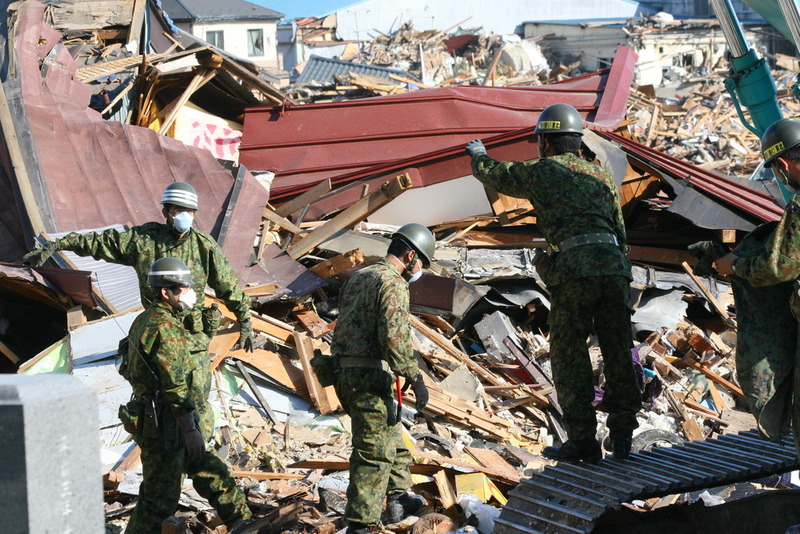 Jin, who has a bad leg from the ordeal, is looking for a new high school in Sendai, she says. She says she’s lucky not to be stuck in a shelter. The government says more than 140,000 survivors are still living in about 2,500 evacuation centres, where more than 200 people, mostly seniors, have died from cold weather and illness since March 11, according to local media reports. Prime Minister Naoto Kan said Tuesday he’s hoping to move most people out of shelters into about 100,000 temporary housing units by mid-August, more than four months away. Food, blankets and other aid from Canada and elsewhere are now piling up in school gyms and community centres across the 600-kilometre long coastal disaster zone. Volunteers from across Japan have been pouring into Ishinomaki to serve hot meals to hundreds of people enduring long lines. Her son Akira, 57, refused to believe that Abe and Jin, 16, were dead, according to Kyodo news. He knew his mother was tough and patient, like many of her generation. After the quake, his son Jin managed to make a 50-second call on his cellphone to his brother. He said the house was destroyed, but he and his grandmother were surviving in the kitchen. ISHINOMAKI, Japan | Riding a bus, the 80-year-old lady with sparkling eyes laughs when asked how she escaped the tsunami. Perhaps the most famous of the tsunami survivors, Mrs. Abe personifies the enduring spirit that many believe will help Japan overcome its worst crisis since World War II. Her plight also shows how thousands of tsunami victims still have little choice but to fend for themselves, despite a massive national and international aid effort. Mrs. Abe doesn’t seem to realize that people around the world have seen videos of rescuers finding her teenage grandson Jin waving for help atop a demolished home and then hoisting both of them up to a helicopter. 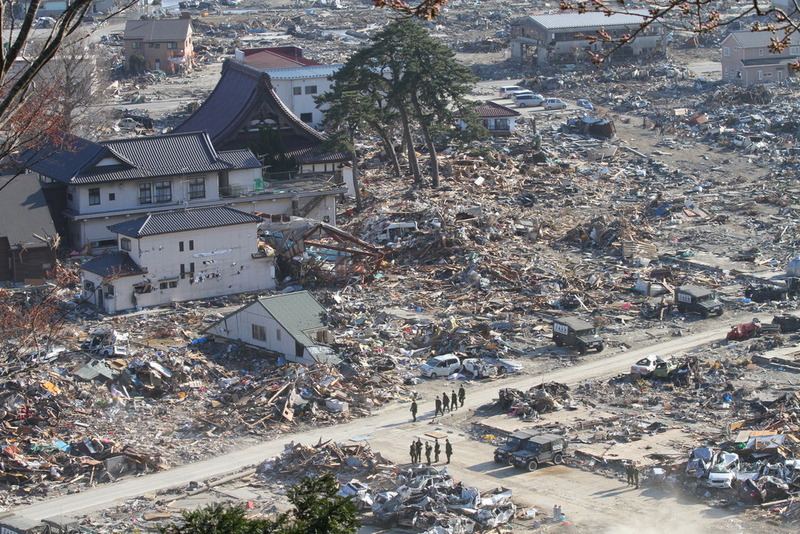 Of the estimated 500,000 tsunami survivors who lost their homes, she perhaps endured more than anyone else. Her skin is still rippled from nine days of exposure to damp winter weather, surrounded by a swamp of dead neighbors. After spending five days recovering in an Ishinomaki hospital, she and her grandson have been staying with relatives in Sendai city, about 90 minutes away by bus. Jin, who has a “bad leg” from the ordeal, is looking for a new high school in Sendai, she says. When the March 11 earthquake hit, many villagers ran to hills. But she was too old to run, Mrs. Abe says. Along with Jin, she stayed in her house in Minamihama, hoping to ride out the wave. Her house was more than a half-mile from the seaside, and a warren of factories and solid buildings would block the sea’s advance, she thought. 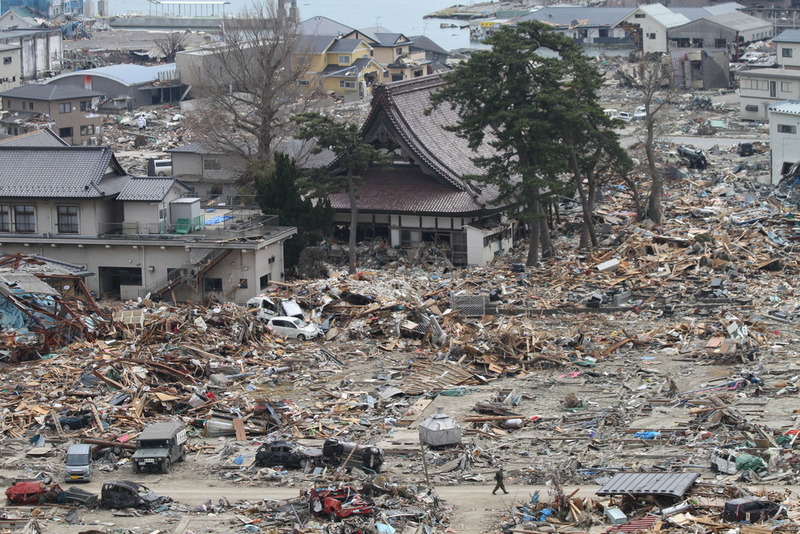 But the tsunami demolished everything in sight and ripped her home from its foundation. Trapped in the wreckage, she couldn’t move, and shivered under a blanket that Jin put over her. She was lucky to have been trapped in the kitchen. “I counted everything we had left: eight cups of yogurt, one bottle of Coca-Cola, a few water bottles. We had just enough to survive,” she says. Her son Akira, 57, refused to believe that Mrs. Abe and Jin were dead, according to Kyodo news. He knew his mother was tough and patient, like many of her generation. After the quake, his son Jin managed to make a 50-second call on his cellphone to his brother. He said the house was destroyed, but he and his grandmother were surviving in the kitchen. Efforts to find the pair failed until one Sunday, nine days after the tsunami, when four police officers saw the teenager calling for help on a rooftop. 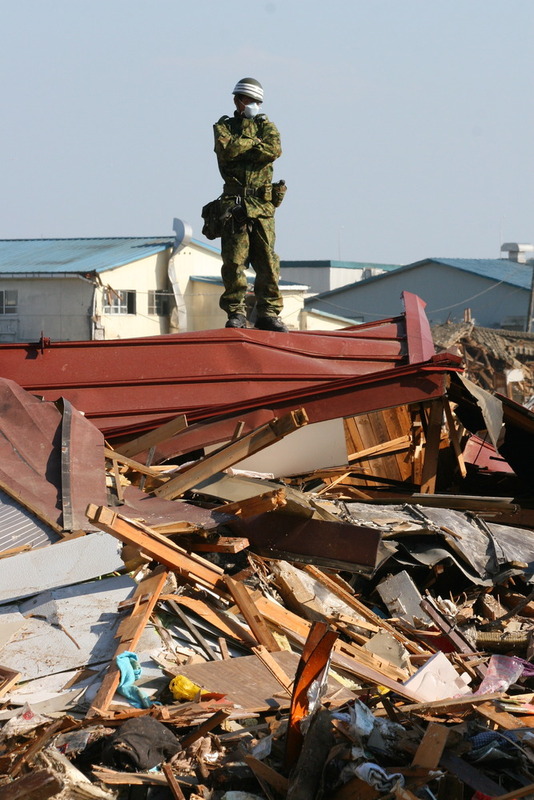 Soldiers look for missing bodies in the wreckage of the Ishinomaki neighborhood where Sumi Abe was rescued after being trapped in her home for 9 days. A Buddhist temple and some trees are among the only things standing in the Ishinomaki neighborhood where Sumi Abe was rescued after being trapped in her home for 9 days.